Remember my Flower Trails Fingerless Gloves? Well this project is made using the left over single skein I had. I love making the puff flower stitch with this yarn, so I’ve used it again here – so this is a matching item if you like to match your purse and gloves! I think I’ll be using mine as a mini project bag, because it came out the perfect size for holding a single skein of yarn and hook. But this could equally work as a clutch bag or pouch for make up – whatever you prefer really! If you aren’t familiar with making the puff petal flowers then please see my video tutorial here! 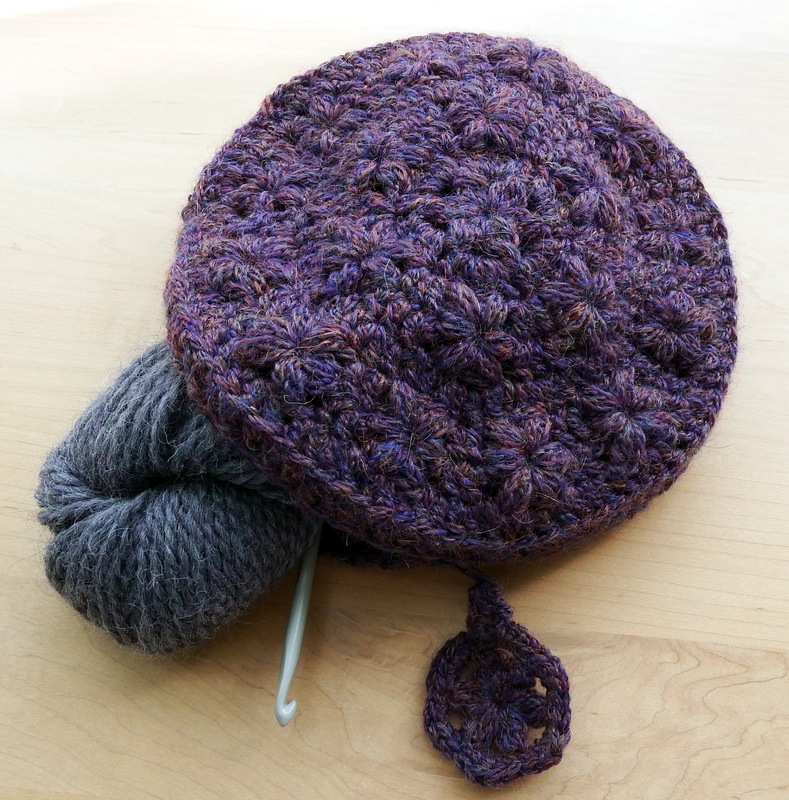 You will need 110m of light worsted weight yarn and a 4.00mm hook. I used exactly one skein of Rowan Lima. To line your pouch you will need a 70cm by 25cm piece of fabric and matching zip of desired length (I used a 15cm zip). You will also need a needle and thread. The pouch is worked in the round from the centre out in two halves. Begin with a magic ring or ch4 and join with a slip stitch. Work round 1 into the ring and then pull to close. Round 5 works 11 dc sts for each flower (and the sts in between) in the round below. Repeat R1-R9 to make the second half, but leave a long tail to seam the two halves together. 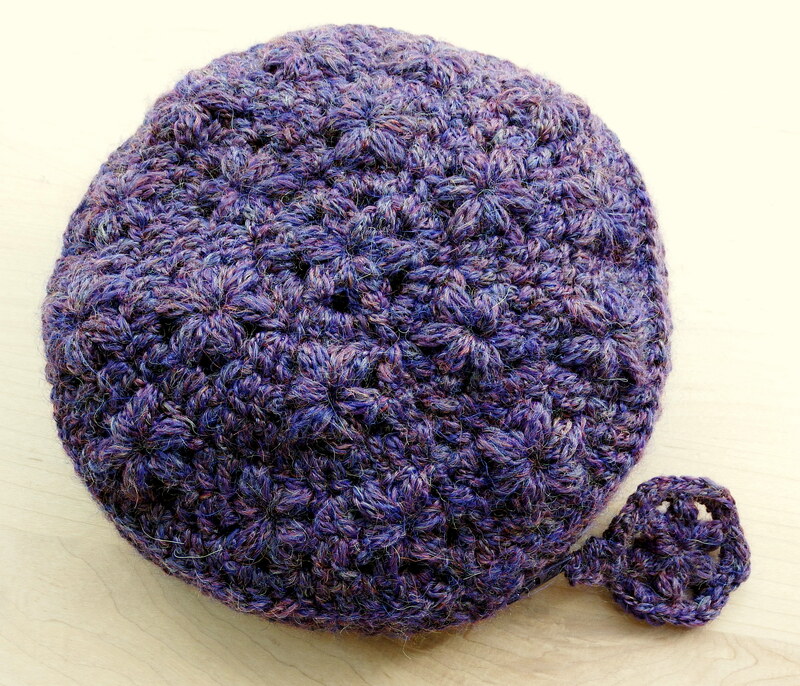 To seam the crochet pieces, use mattress stitch (or your preferred seaming method) to stitch the two halves together leaving an opening the same length as the zip. 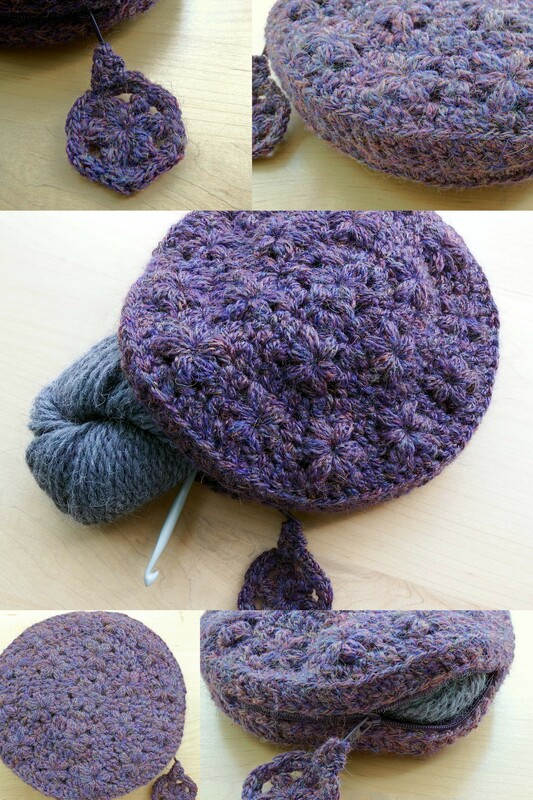 To make the lining, I cut 2 circles 1.5cm larger all around than the finished crochet piece. I then cut two strips the length of my zip plus seam allowance of 1.5cm, and a final strip which was the length of the remaining diameter of the pouch plus seam allowance. I sewed the shorter strips either side of the zip and then attached the long strip to either end of the zip. Finally I pinned and sewed the front and back circles to the zip section. 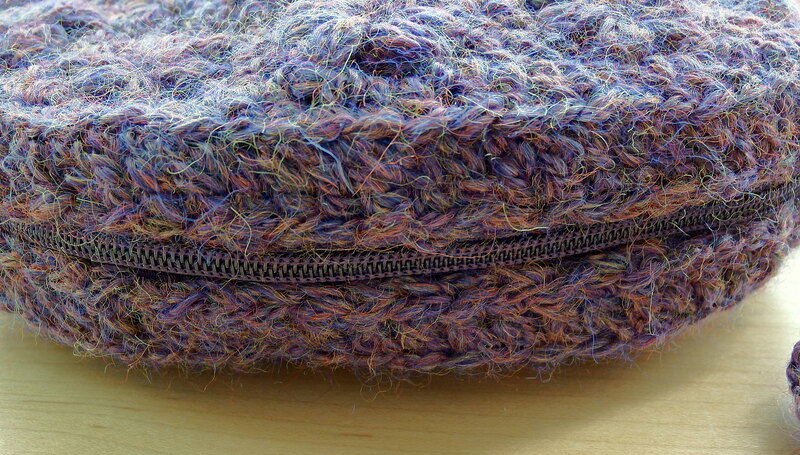 Once I had made the lining and turned it the right way out, I sewed the crochet piece into place around the zip.